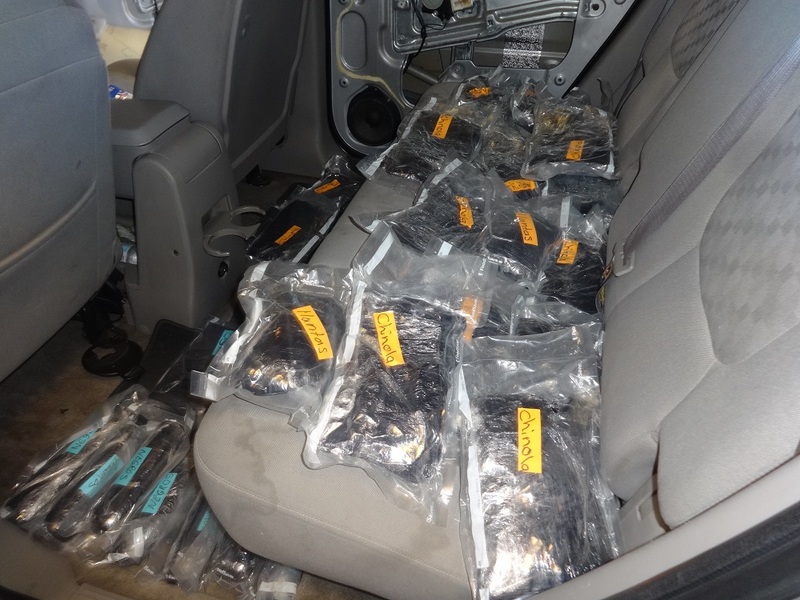 U.S. Border Patrol agents arrested a 23-year-old Mexican citizen on Jan. 24 at the San Clemente Station after finding 140 pounds of narcotics in her car. The driver consented to a search of the vehicle by a Border Patrol K-9 team, where agents found dozens of packages containing narcotics hidden inside. The narcotics have a street value of more than $2.25 million, the release stated. The narcotics and the suspect were turned over to the Drug Enforcement Administration. The vehicle was seized by the Border Patrol. Since Oct. 1, San Diego Sector agents have seized over 300 pounds of cocaine, 79 pounds of fentanyl and 975 ounces of heroin.